Treat your iPhone 8 with the respect it deserves. Although it’s not as flashy as the other new iPhone introduced in 2017, Apple’s iPhone 8 still falls in the high-end segment. You spent a lot of money to get a really good product, so don’t risk scratching or even shatter the display. Put a screen protector on the front to keep the display clear and clean. Here are some screen protectors you should consider for your iPhone 8 or iPhone 8 Plus. The first pick, which is also labeled as Amazon’s Choice, comes from Maxboost. 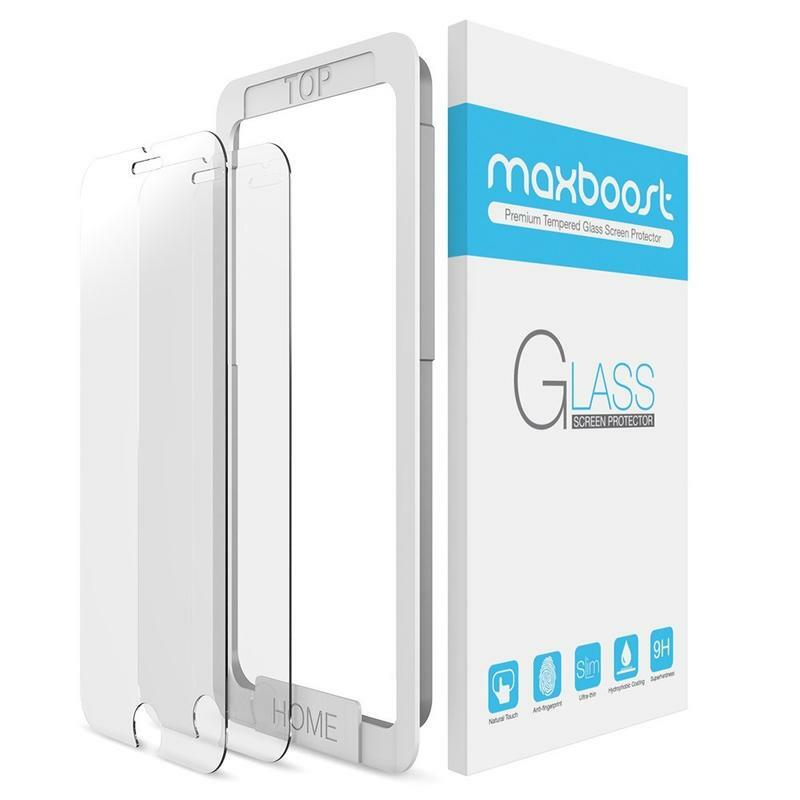 Its tempered glass-based screen protector is thin, durable, and easy to apply. You can’t really ask for much more considering the price. It costs less than $10, and you’re getting two premium screen protectors with worry-free installation tools. Unlike most screen protectors, this one is 0.2mm thin. That’s how Maxboost maintains 99.9% see-through visibility. But, despite being so thin, the screen protector has a hydrophobic coating and two-layer design to keep away everything you don’t want. 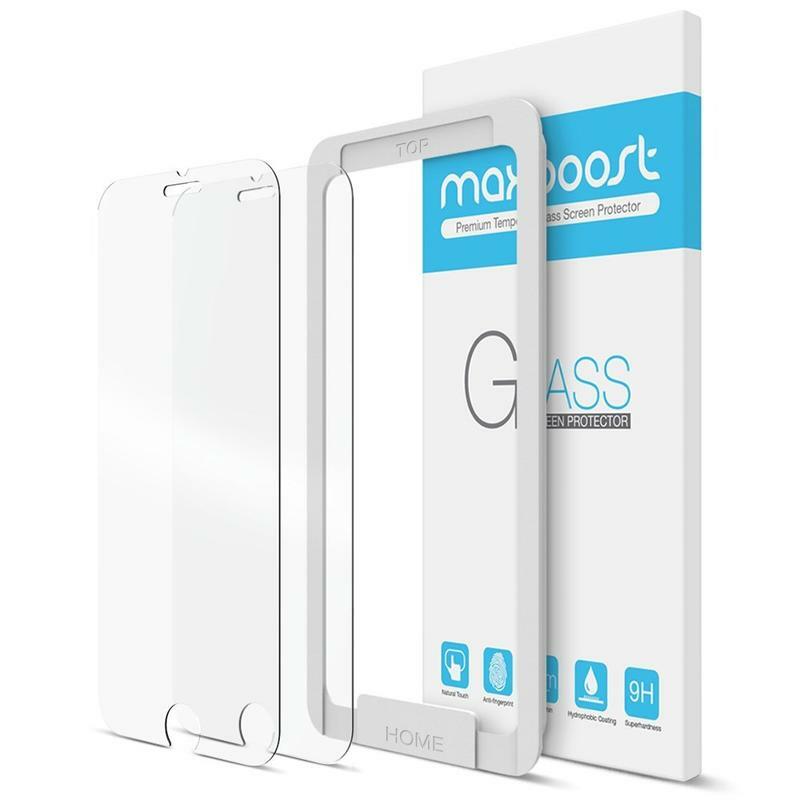 Fingerprints, moisture, dust, and scratches are no match for Maxboost’s screen protector. 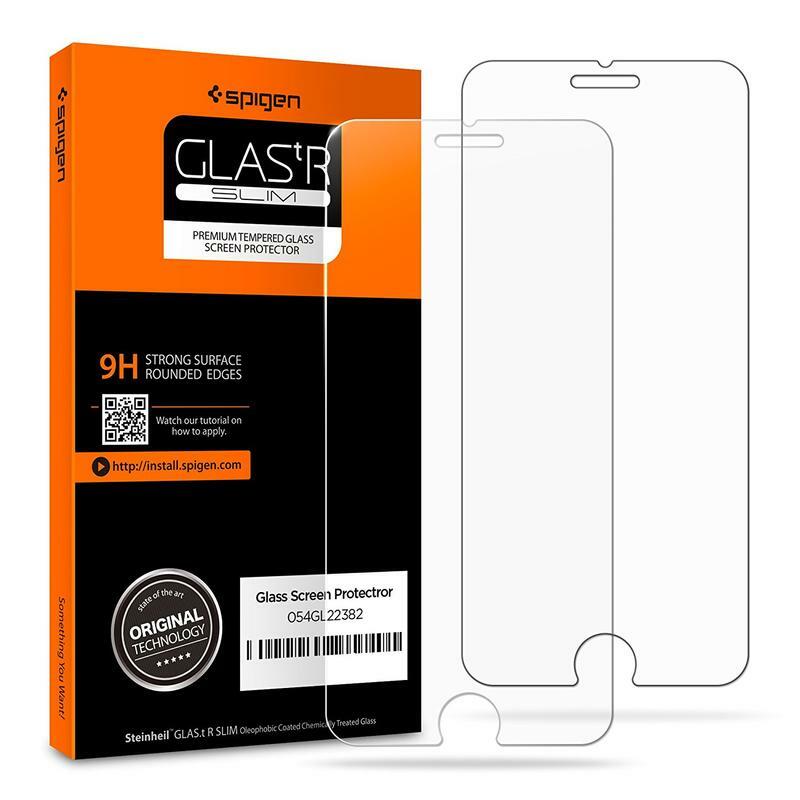 Spigen makes cases for many of the world’s most popular mobile devices, but the brand offers screen protectors as well. The GLAS.tR SLIM features a case-friendly cutout, 9H hardness, and an oleophobic coating. Those things allow your iPhone 8 to fit into any case, deflect impact from different objects, and reject fingerprints. Installing this screen protector isn’t difficult. Spigen includes dust stickers, cleaning wipes, and a cleaning cloth to ensure your iPhone 8’s display looks as fresh as it did on day one. Don’t be turned off by the price tag on Spigen’s site. If you buy through Amazon, you’ll get the same screen protector for much less. The online retailer often has Spigen’s products available at a discount. Thanks to its lifetime replacement warranty, you can get a new GLAS.tR SLIM from Spigen if anything ever goes wrong. 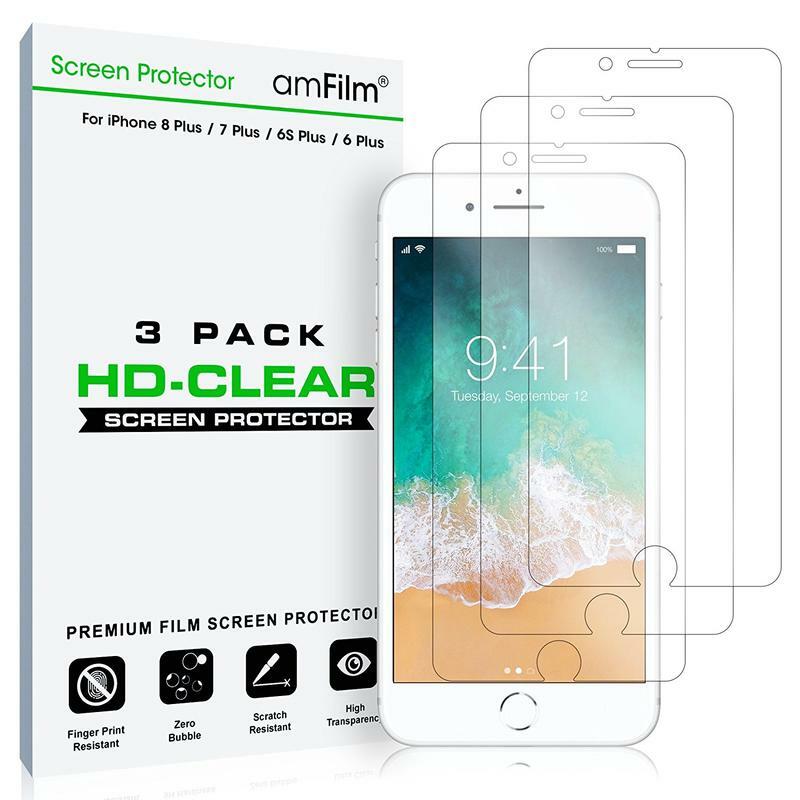 Get amFilm’s HD Clear, which comes in a pack of three screen protectors for just $6, if you’re looking for units but don’t want to spend more than a few dollars. It doesn’t have any fancy technology; however, the screen protector is still trusted by thousands of people. 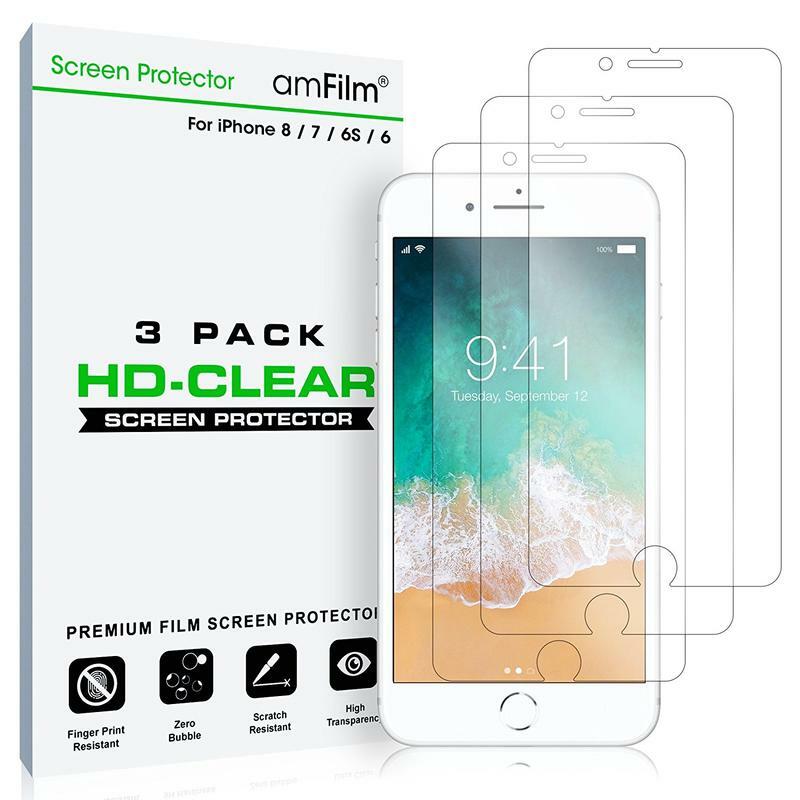 amFilm uses a three-layer design to “promote optimal screen clarity” while also fighting scratches, scrapes, dust, and wear developed over time. The screen protector isn’t made of tempered glass, though you shouldn’t expect that for the price. amFilm’s HD Clear is just prepared to fend off fingerprints and light scratches. The setup kit includes five dust removal stickers, one microfiber cleaning cloth, one squeegee card, and one installation guide. Fortunately for those who are not very good at applying screen protectors, you get three of them here along with plenty of tools to eventually get the application right. Most of you don’t need a screen protector that costs $50, but ZAGG knows there are some out there who just can’t avoid trouble. The InvisibleShield Sapphire Defense, made from a hybrid glass, allows you to feel safe and secure no matter what happens to your iPhone 8. ZAGG says this screen protector is seven times more shatter-resistant than a display without any protection. Its infused with sapphire to handle big drops and sharp impacts, but you’re still getting the clarity and smoothness of tempered glass. And, of course, it also resists smudges from fingers and fluids. ZAGG, like many accessory makers, offers a lifetime warranty with its screen protector. 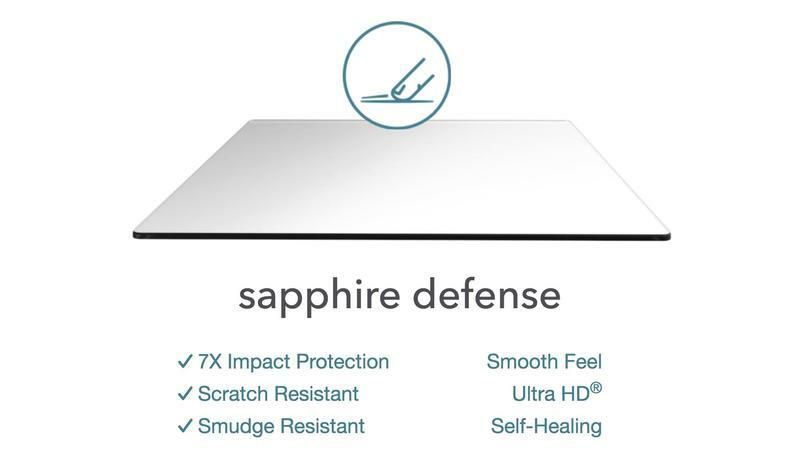 If you notice the InvisibleShield Sapphire Defense getting worn or damaged, reach out to the company. Chances are they’ll send you a new one for free without asking any questions.